Roofing Company FL: Should You Consider Tile Roofing For Your Florida Home? Should You Consider Tile Roofing For Your Florida Home? When it comes to roof installation or roof replacement, there are a variety of different options that can be considered and roofing materials to choose from. Your home is a large investment, so you want it to look it’s absolute best. Therefore, the roofing material you choose for your home’s roof should be considered carefully. Tile roofing is a very popular roofing material for homes in Florida that offers a lot of advantages. If you are considering if tile roofing is right for you, we hope that the information below will help you make the right decision. Which Tile Roofing Material Is The Right Fit? If you have been researching tile roofing, you have likely already learned that there are two main styles of roofing tiles; clay and concrete. Both clay and concrete tiles are among the most durable roofing materials that are available, but the two are made with different materials and offer distinct advantages. Clay tiles are made by baking molded clay while concrete tiles are made using a mixture of sand, water, and cement. While clay tiles may be more commonly thought of when creating a long-lasting, beautiful roof, a concrete tile roof is proven to be just as aesthetically pleasing and can even be a more cost-effective alternative. Will Tile Roofing Go With Your Home? Tile roofing, both clay and concrete, are offered in many different colors, shapes, and designs, so there certainly is some flexibility when it comes to selecting the right tile for your roof replacement project. Concrete and clay roof tile manufacturers produce roof tiles to suit any architectural style, from authentic Spanish to New England Colonial, historic, or contemporary. The color and style choices for tile roofing are seemingly endless! Tile roofing is just as customizable as any other roofing material when it comes to shape, color and material. So, whether it’s concrete or tile, here are the benefits of choosing a tile roof for your Florida home. Long Lasting. Regardless of what material you choose, tile roofing is made to withstand the natural elements and last a long time. Compared to shingle roofing, tile roofs are known to last decades longer — some can even last over 50 years! Tile roofs are made to withstand rain, hail and high winds, and severe weather conditions, not to mention they are fire resistant. Stylish. Both beautiful and exotic, tile roofing will help your home stand out from others in your neighborhood. A tile roof provides your home with an upscale look and can even increase the resale value of your home. Economical. With clay and concrete tile roofs have a lifespan of around 50 years or more, they are one of the most cost-effective roofing materials you can choose for your new roof. In fact, many concrete and clay tile manufacturers even offer warranties from 50 years to the life of the structure. Less Maintenance. When roof tiles are properly installed, they require minimal maintenance than when compared to alternative roofing materials. Should a section of the roof ever become damaged, only the affected clay or concrete tiles require replacement. Hopefully, the above information has helped you determine whether or not tile roofing is right for your home. 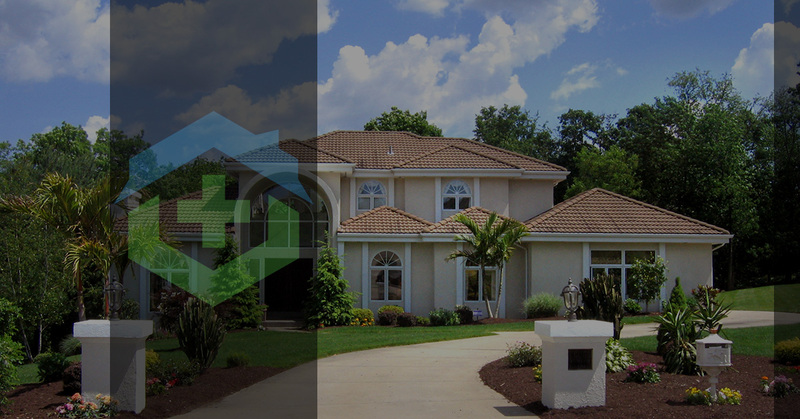 Whether you want clay or concrete tile roofing, the professional roofing contractors at Roof Positive can install a quality roof using materials from the industry’s leading manufacturers. To learn more about our clay or concrete tile roofing options or our other roofing materials, or to schedule a free estimate, contact the friendly professionals at Roof Positive.